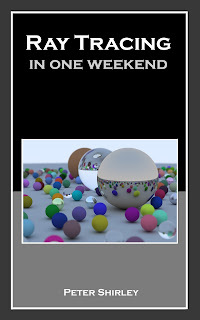 Ray Tracing in One Weekend is a $2.99 Kindle book with an associated blog in1weekend.com where I will outline some other one weekend projects (or promote yours-- this is a fun thing to do). It is very much book for novices to get to a cool picture ASAP. Please publish it on https://itch.io/ in a pdf or some other format besides kindle (i.e. epub, mobi...)! Finished the book. Got the refraction broken. x_x I'll try again. I really enjoyed the book, and the project. So far, I've had a few problems. My dielectric surfaces don't work properly. I keep getting self collisions with reflection rays, resulting in black reflections. 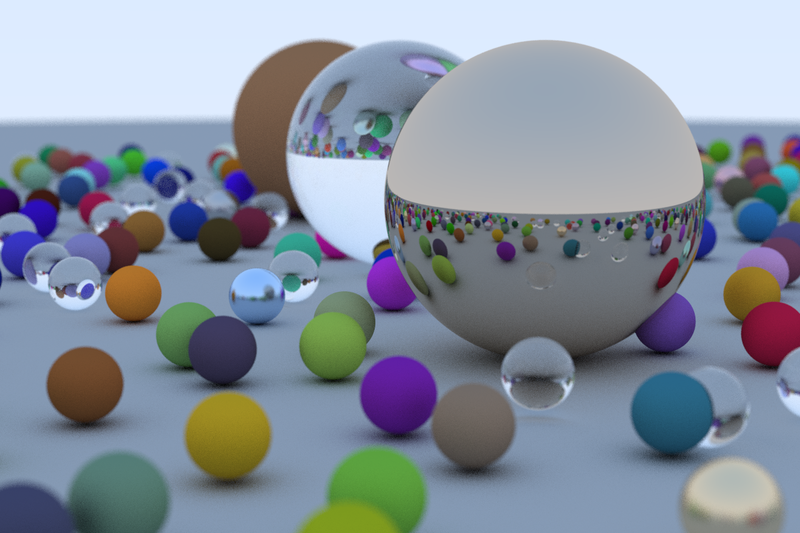 I've played around with a few things, including adding a surface_id to the hit_record, and ignoring "this" object on reflected rays. It helps a little, but there's still something odd going on. Are you interested in corrections to your code? You have a few places where it seems you've left in old versions of code, but then added new versions. The code still works, but you're assigning to a variable, and then assigning to the same variable again. For example, in your first camera code that uses vup, you assign to lower_left_corner twice. I've fixed the shadows. My lambertian scatter function was generating the wrong rays. It didn't matter much on small scenes where rec.pos was small, but failed badly on larger scenes.